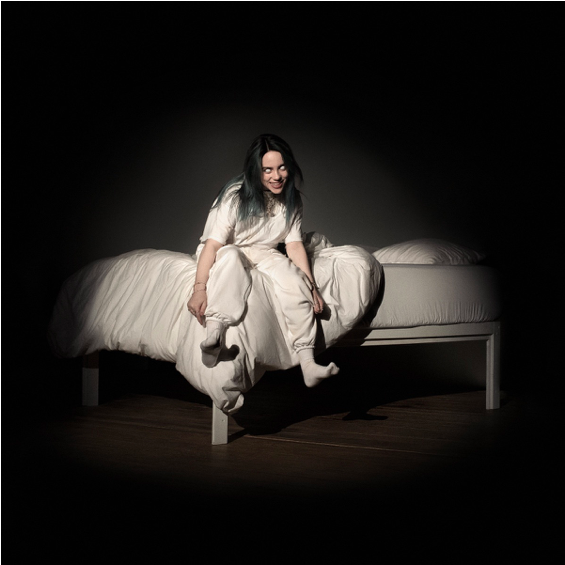 “Nothing on this album sounds the same, but it all adds up to a whole,” she commented prior to the release of ‘When We All Fall Asleep, Where Do We Go?’, and she’s half right. The dynamism and daring of this record is undeniable, but it’s also an erratic listen that lands more in the style of a mixtape than a cohesive collection. The captivating You Should See Me In A Crown fuses sinister synths with multiple effects and whispered vocals, while Bury A Friend’s beats pare things back to the bare bones. When The Party’s Over, meanwhile, is a piano-led lament and My Strange Addiction offers up a slicker pop number, with an added quirk courtesy of sound bites from television show The Office. Eilish co-wrote the record with her older brother, producer and multi-instrumentalist Finneas O’Connell, who also tours with her. Their collaboration produces work that is adventurous, changing tack song to song and even within the confines of a single track, but that also lacks a consistent voice. But maybe the turbulence is part of the fun. One moment we’re writhing to provocative synths and the next we’re tapping our toes to a ukelele on 8, before getting creeped out by some childish vocals. It’s the closest we get to a nod to Eilish’s earlier work, specifically 2017’s ‘Don’t Smile At Me’ EP. Lyrically, Eilish snapshots personal memories and intertwines them with dreams, which makes for an interesting narrative approach. “Step on the glass, staple your tongue, bury a friend, try to wake up, cannibal class, killing the son, bury a friend, I wanna end me,” she sings on Bury A Friend. ‘When We All Fall Asleep, Where Do We Go?’ is a bold offering that features some nuggets of adroit songwriting and composition, but the whole is less than the sum of its parts. That being said, if you want a playlist to cover every possible mood people will experience during a party, you’re on to a winner.